Learning the ropes of teaching is no easy task. Each future teacher will bring his or her own unique perspective to the classroom. Ensuring that everyone leaves K-State ready to put their skills to the test requires a very personalized curriculum. That’s where Dr. Phillip Payne, Assistant Professor of Music Education, comes in. The Senior Survey will be sent out November 16th to seniors in undergraduate degree programs who have applied or been approved for graduation in the Fall semester. The survey is designed to give students the opportunity to reflect upon their experiences and time at K-State. Results are used to improve the K-State experience for future students by identifying areas of strength and areas that need further development. 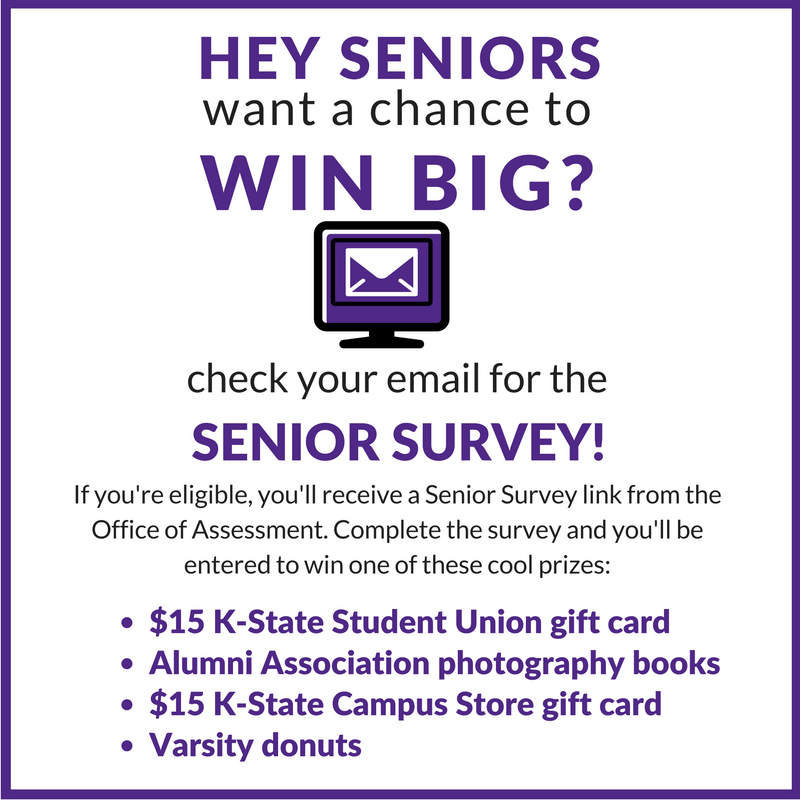 Prizes are available for students who complete the survey, including $15 K-State Student Union gift card, Alumni Association photography books, $15 K-State Campus Store gift card and Varsity donuts. 96% of respondents reported that they had a very positive (56.7%) or positive (39.3%) experience at K-State. 95.6% of respondents indicated that they definitely (68.9%) or probably (26.7%) would recommend K-State to others. 71.6% of respondents have a job lined up (48.6%) or will attend graduate school (22.9%) upon graduation. The entire 2015-2016 survey can be found here. Find more information about the Senior Survey can be found here. Kristy Archuleta, Associate Professor in the Personal Financial Planning (PFP) program in the School of Family Studies and Human Services, is very familiar with assessment. The PFP program recently was recognized for outstanding work in assessment. Although she wrapped up undergraduate assessment for this year’s cycle only a few days ago, assessment continually remains on her mind. The National Survey of Student Engagement, or NSSE (pronounced “nessie”) has been used to measure student engagement by four-year colleges and universities across the country since 2000. K-State administers this survey every three years to first-year and senior students. The survey was administered in spring 2016 and results are now available. 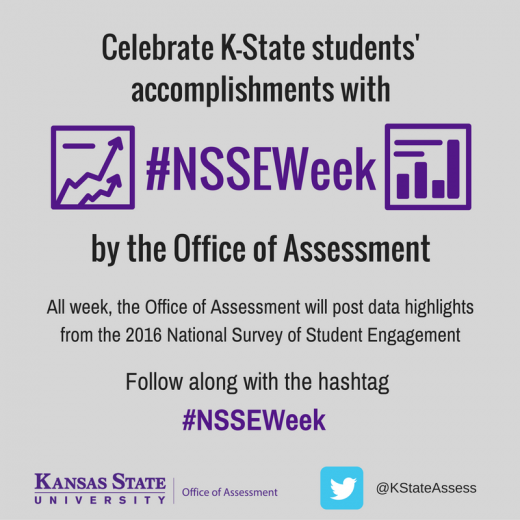 The Office of Assessment will be highlighting special segments of the 2016 NSSE results on Twitter October 24th – 28th. 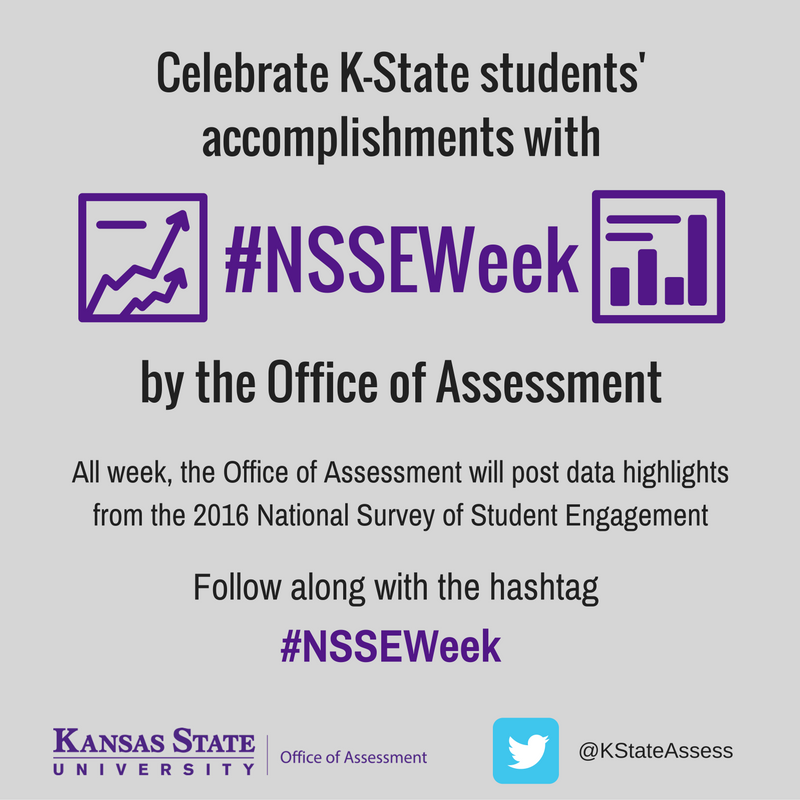 Follow the Office of Assessment on Twitter and join the fun with the hashtag #NSSEWeek. Full results are available on the Office of Assessment NSSE website. View past NSSE results and learn more about the survey here. 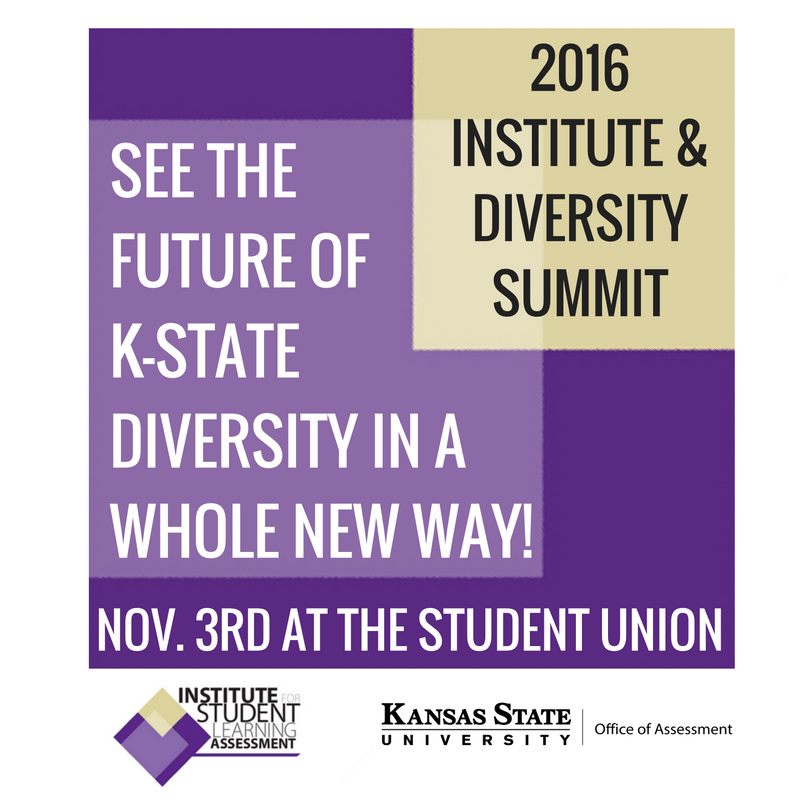 The 2016 Institute for Student Learning Assessment/Diversity Summit will be held on November 3rd from 8 a.m. – 5 p.m. at the Student Union. The event provides opportunities for students, faculty, and staff to learn about research and teaching practices that relate to diversity learning outcomes. Participants will hear how faculty across a variety of disciplines teach and assess diversity, how students and alumni view diversity education, and how students and faculty are approaching diversity topics in research. The event includes a faculty panel on teaching diversity, a student panel on diversity perspectives, and a diversity research forum. The full schedule can be found here. 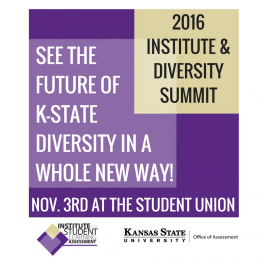 Faculty, staff, and students are all invited to attend and learn about the future of diversity at K-State. The summit is sponsored by the K-State Office of Diversity, Office of Assessment, Teaching and & Learning Center, Vice President for Research, and Dow Center for Multicultural and Community Studies at K-State Libraries. 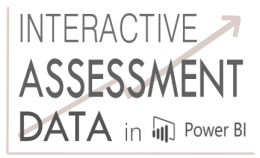 The Office of Assessment is launching Interactive Assessment Dashboards this fall. The dashboards combine data from dire ct assessments, surveys, and other sources to create dynamic views of data. No registration is required for the workshops. Go to http://www.k-state.edu/assessment/surveys/dashboard/ for more information and to see a sample dashboard. Additional sessions can be scheduled by contacting the Office of Assessment at assessment@ksu.edu. Anne Phillips, Professor of English, is quick to remind people that assessment in the English department is far from a one person job. Her coworkers are more than happy to work together to create measurable results. “I have the best colleagues in the world,” said Phillips. Learn More On Our Youtube Channel!